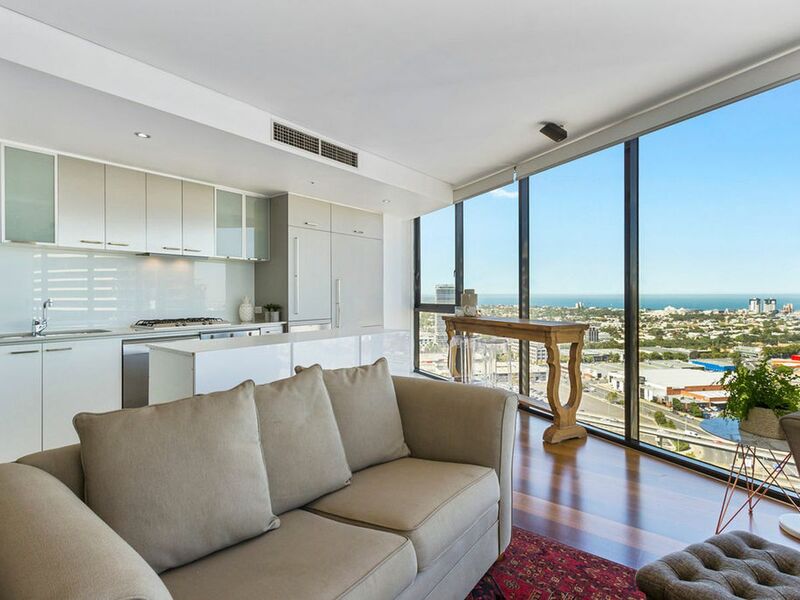 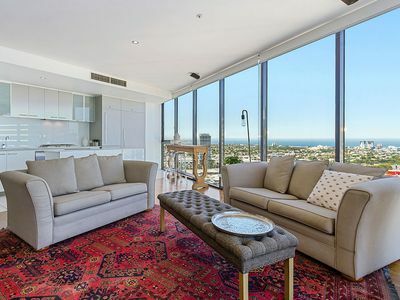 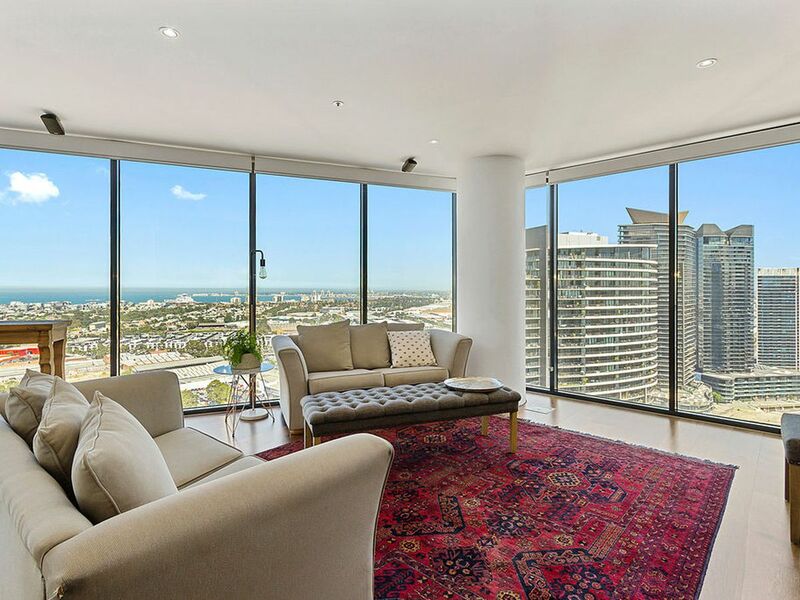 There is so much to like about this delightful two bedroom apartment situated on the 28th Floor of Tower 1. 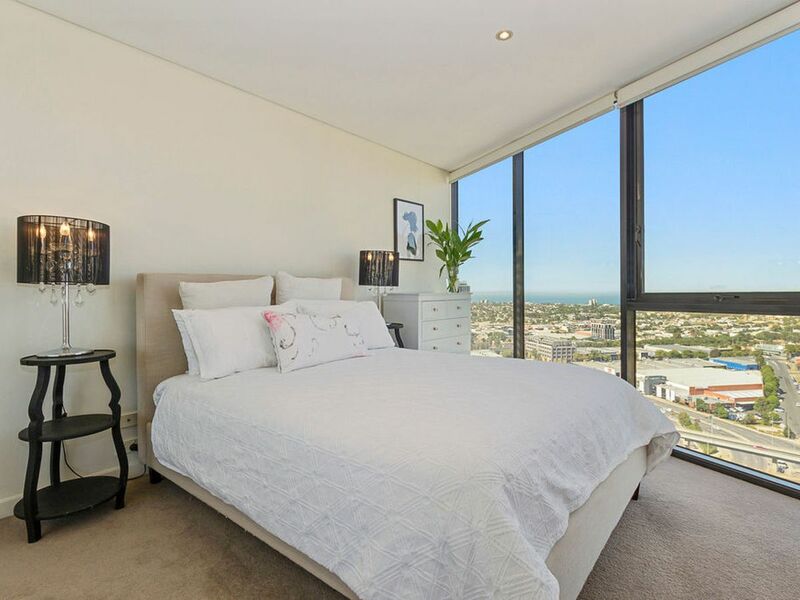 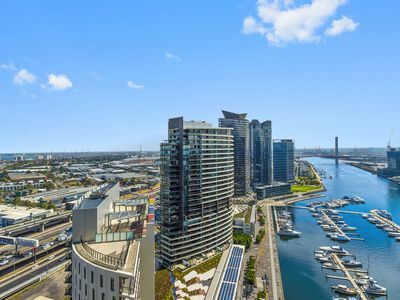 From the spectacular, panoramic, never to be built out views across the Bay to Portarlington and the Mornington Peninsular and to the west along the Yarra River across the Docklands precinct and Bolte Bridge. 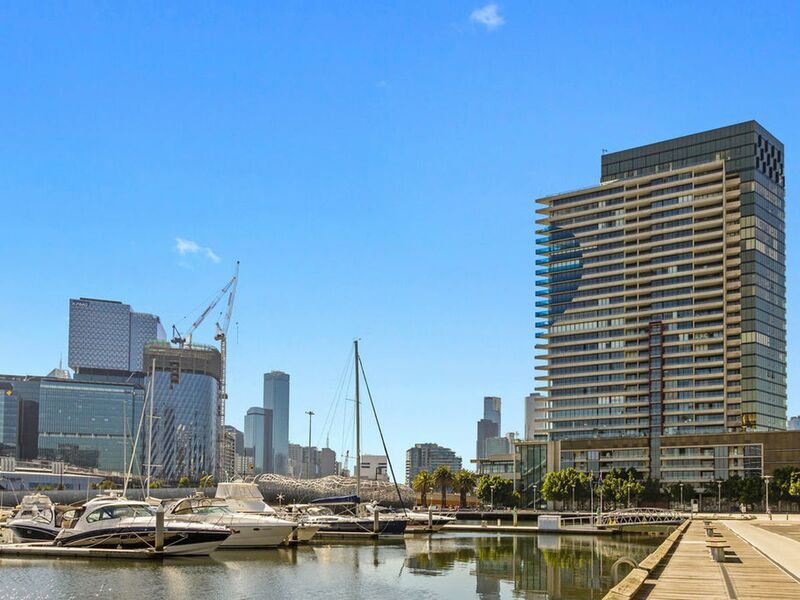 Watch the Spirit of Tasmania and cruise ships come into Port everyday, enjoy the hive of activity along the Yarra River, work out at the fabulous Rekdek Gym and pool and the convenience of restaurants downstairs. 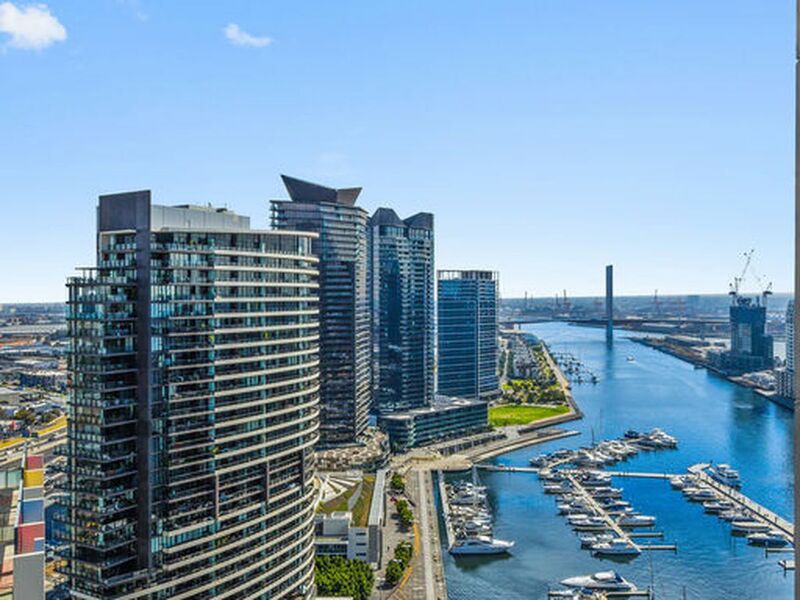 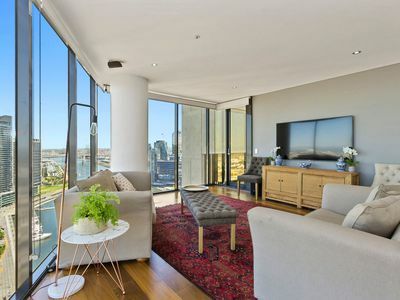 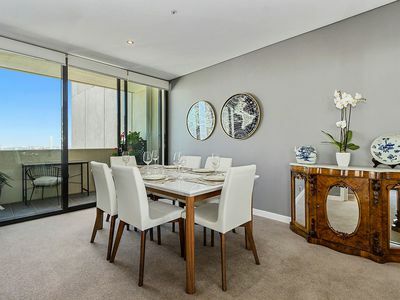 So close to South Wharf shopping Centre, Crown entertainment complex, the fabulous restaurants and bars of Southbank and the business precinct of Docklands. The City free trams are only a short walk over the Webb Bridge and access is so easy to Citylink and the freeway. Situated on the corner of the building the apartment features floor to ceiling windows in the kitchen/living area and both bedrooms to make the most of the spectacular views, beautiful floorboards in the living area, stone bench top, smeg appliances, dishwasher and a good sized island bench in the kitchen. 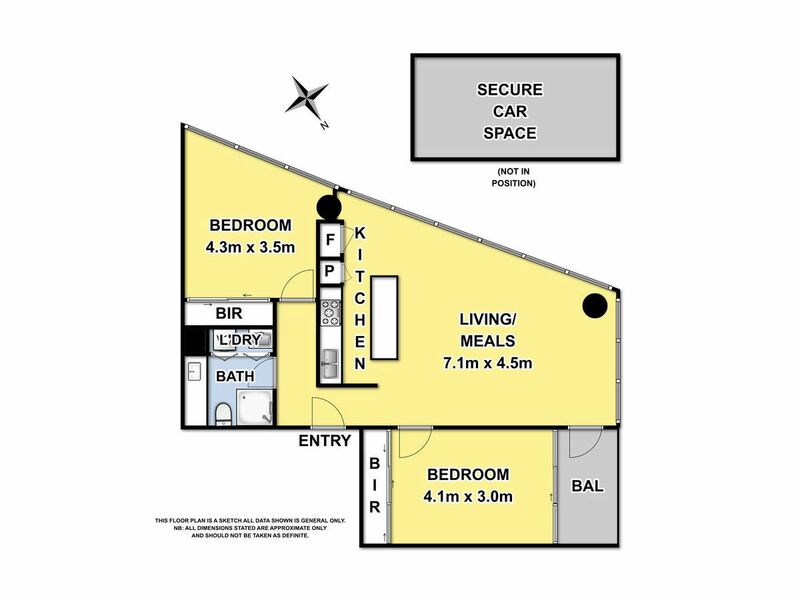 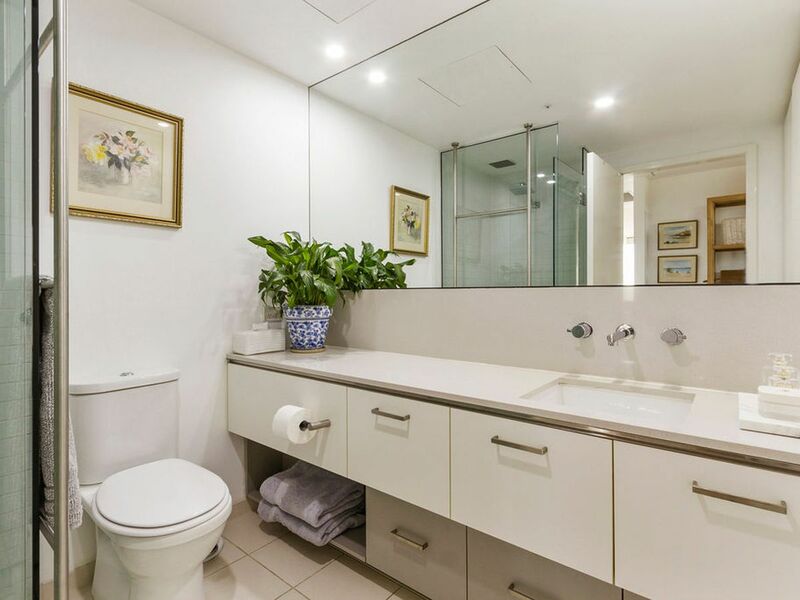 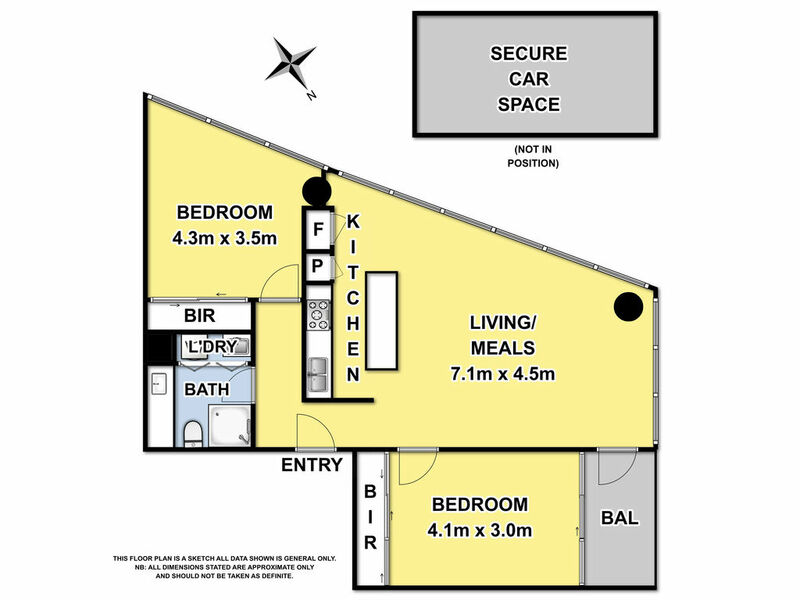 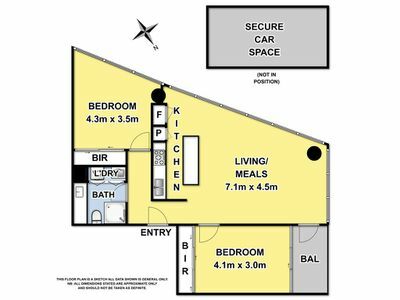 Other features include a large vanity unit in the bathroom, built in robes in the two good sized bedrooms, ducted heating and cooling, a single car space plus a good sized storage cage. 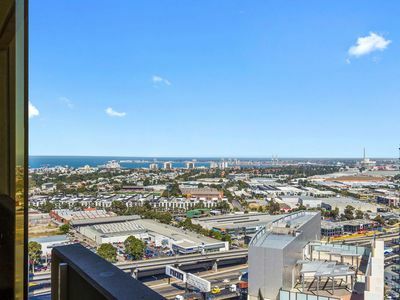 Two bedroom apartments in Lorimer Street in this price range are very hard to find, particularly with views like this, we suggest you inspect very early to avoid disappointment.